As you can see I have added more stitching, in a few more colors. For some reason they just don't resonate the way I want them to at this point. 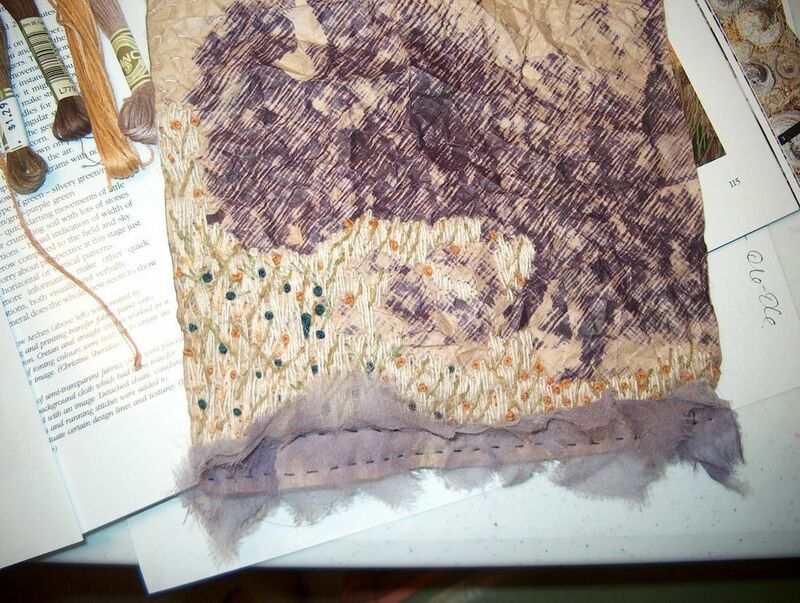 I look at the piece and I know what it needs - more stitching - and then I think to myself "what was I thinking"?? ?